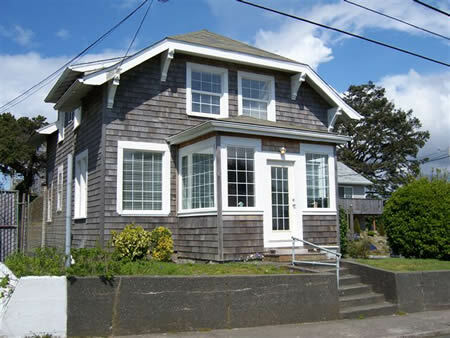 Vintage 4 bedroom, 3 level home is located just steps to the Beach, and close to town. Spacious living room has a Beautiful stone fireplace, WiFi, 50" TV. new sectional, and dining room set. Large gourmet Kitchen complete with a 6 burner gas stove, all new stainless appliances, and granite counters. Completely remodeled basement with Bunks beds, TV, games and walk-in shower. All bedrooms are located on the second floor. Small pets are welcome with approval from the office. (Sleeps 10-12 ) There will be a $150.00 cleaning fee for this unit.